FCC places value in their employees, jobs and customers. All three work together to achieve our goals as a growing and prosperous construction company. We want to give our community the helping hands they need and a peace of mind it will be done right. From design concept and plans through complete construction, Florida Certified Contractors provides a full range of services. Based in St. Augustine, Florida, we take great pride in our high-quality, on-budget work for our commercial and residential clients. "Adam and his team of professional were on time and communicated very well. 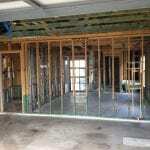 My past dealings with contractors in the area of St. Augustine Florida has been mainly negative. That said, the team at FCC has enabled our family the ability to make home improvements and maintain our home without fear of cost overruns, sub-contractors no shows, or an organization not standing behind their product or their word. Adam and his team have been nothing short of perfect. I would recommend them to anyone who is interested in having a job done right the first time at a fair price while sticking to an agreed upon timeline." "We used this company to waterproof, paint, and fix the builders errors. I would highly recommend this company and would definitely use them again. They're professional and timely with their work. I cannot reiterate how happy we are with their work." "We own a home near the beach and have suffered water leaking a couple of times. 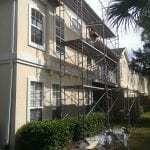 We had two different companies from St. Augustine come to fix the problem and both times the problem was not fixed. Finally, I called Adam at Florida Certified Contractors LLC. He was courteous, punctual, kind and very knowledgeable. He and his company finally FIXED the problems we were having and there has been no further leaks. I definitely will call his company again for any of our home needs and I highly recommend this company to anyone looking to get the job done right. " "We used FCC for repair of water damage caused by an outdated hot water tank that leaked from an above condo unit. Adam promptly provided a cost estimate the same day he came to look at the repair work that was required. FCC Builders did a very nice repair job, which was completed in one day, so our tenants were not disrupted for an extended period of time. We highly recommend this business for their professionalism and quality of work." 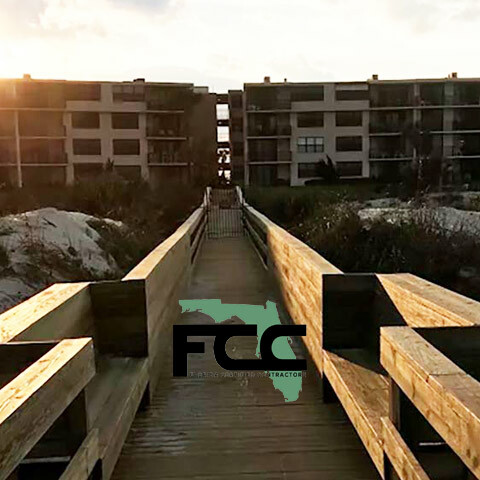 "When I discovered that my deck had a serious leaking problem, I contacted FCC Builders, Jacksonville, FL, who have an outstanding reputation dealing with water damage. Upon completion of their investigation, they provided several names of contractors to do the demolition and repair that was required, which was more significant that ever imagined. It was a very complicated job; 500 square feet on the second floor, a 4" concrete deck covered with tile, with closed ceiling below it on the first floor. Numerous 2x12 supports had to be removed and replaced, new concrete poured, new waterproofing installed and totally re-tiled. Exterior walls had to be replaced, doors and windows removed, rebuilt and sealed. Bottom line, it was an enormous and complicated job that FCC completed on their cost estimate and close to their schedule barring unforeseen circumstances."